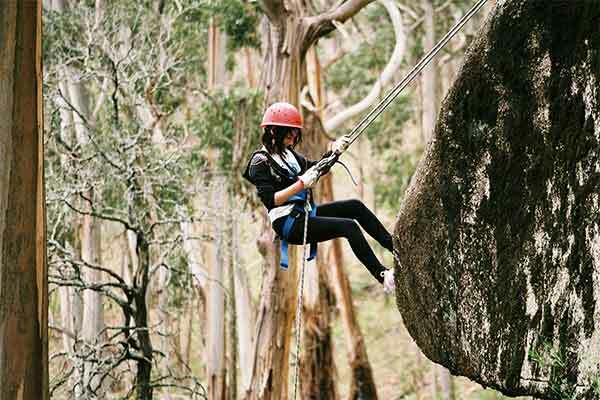 Cave Hill Creek: The home of Australia’s best Summer Camp. And now there’s a Winter Camp too! Starting from Monday the 8th until Friday 12th of July during the winter school holidays! Want to get your kids out of the house and away from a screen for the school holidays? Looking to have fun and make new friends, or catch up with old ones? Winter Camp is a residential school holiday program for kids age 8-14. So, what goes on at Cave Hill Creek’s winter camp? 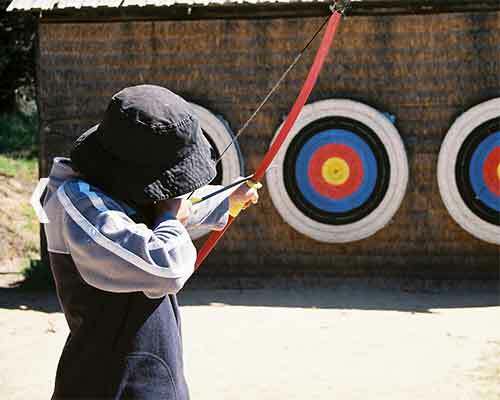 We’ve got a great range of outdoor activities for your children to experience: stand atop your crate stack tower, climb the giant’s ladder, balance on the low ropes, splash in a canoe, abseil down the cliff, ride a bike in the forest and shoot some archery. 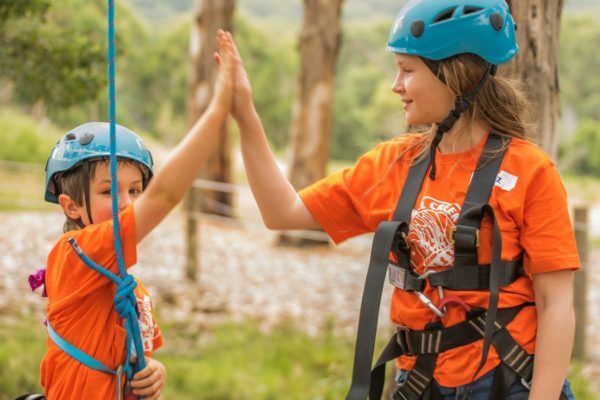 At Cave Hill Creek Winter Camp attendees can hang out around the campfire, climb a mountain, go on a night walk, perform in the talent show, and build friendships. It’s one giant 4-night sleepover full of friends and adventure! 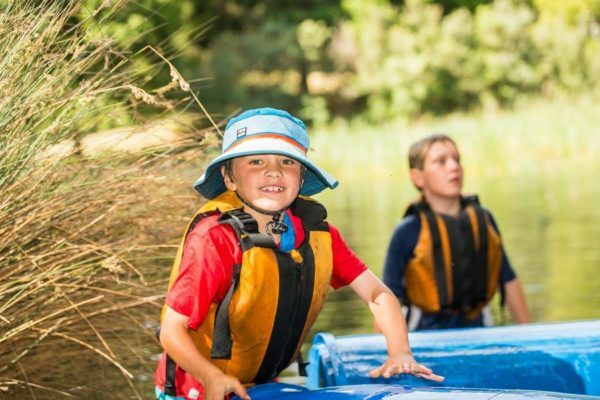 Cave Hill Creek Winter Campers even receive a complimentary & (personalised!) camp hoodie! 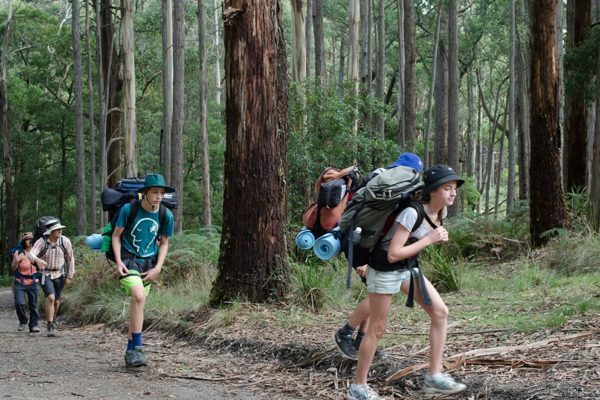 Includes all meals and accommodation, outdoor activities, supervision, new friendships and heaps of holiday fun. Winter camp is similar to Summer Camp with a different twist. The same stunning venue, the same awesome hosts and delicious food, but a different and exciting camp program. Receive a complimentary Winter Camp hoodie personalised with your name if you book before 7 June. Sorry but Winter Camp is not for you! Perhaps you have to work over the July school holidays, or you’ve already sent your child/children to one of our summer camp programs? Many of the parents we speak to know just how special holiday camps are, from personal experience. Whatever your reason, Winter camp is a great way to have lots of fun and make lasting, new friendships! We are experienced and qualified camp specialists, Quality Tourism accredited and Australian Tourism Award winners. 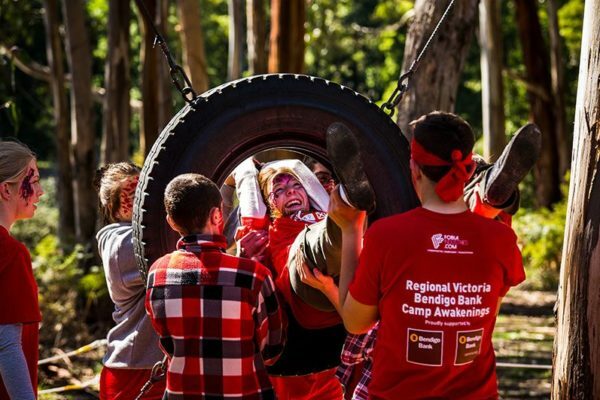 With more than 30 years experience, Cave Hill Creek is Australia’s best camp. Winter Camp is tech-free, we get your kids off the couch, have fun and activate their minds and bodies over the school break. 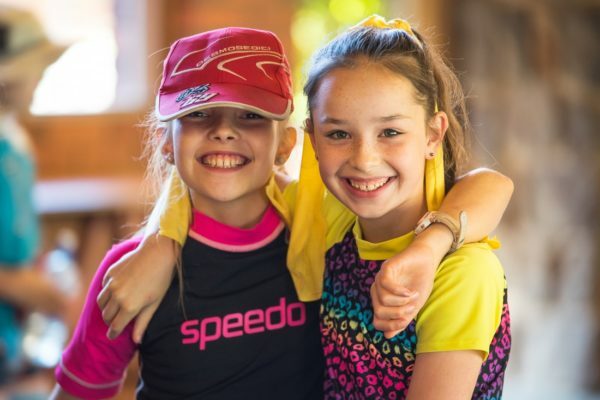 With over 30 years’ experience running fun and safe camps, we do our best to ensure your child is supported and cared for whilst under our supervision. We foster inclusive, friendly and safe camp communities, and ahve a strong and long establish culture of child safety. All of our staff have valid working with children checks. The food is healthy and nutritious (all dietary requirements welcome). 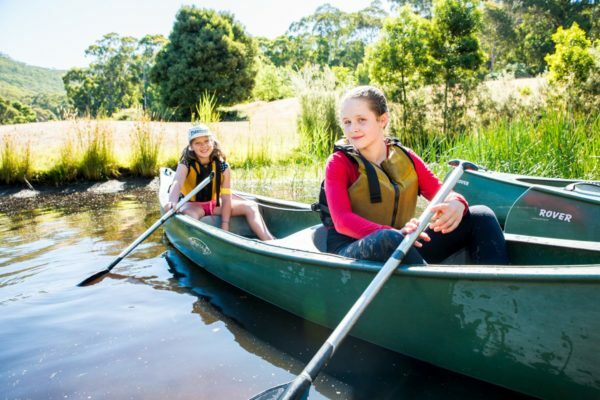 And all set in our amazing bush and lakeside setting, home to kangaroos, wallabies, echidnas and platypus, at the foot of Mt Cole – only 2 hours from Melbourne, near Ballarat in regional Victoria, Australia. Stuck for transport and or time to get your child to camp? We also offer an accompanied transport service from Southern Cross station in Melbourne. Simply drop your child at the station early Monday morning and pick them back up on Friday afternoon. All led by our experienced guides who facilitate an entertaining, safe, and enjoyable learning experienced for all. 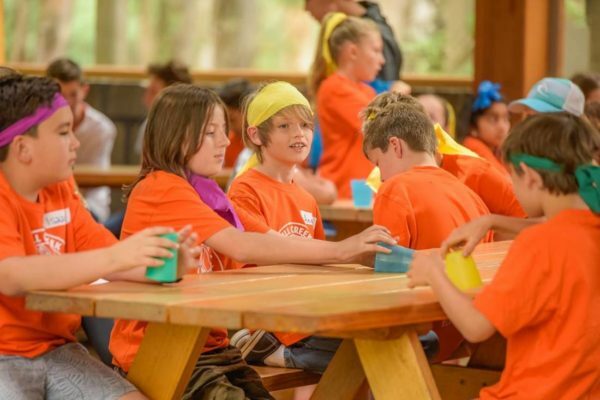 To make sure your child has the energy to keep going throughout the day, our dedicated kitchen team cater delicious, healthy and hearty meals for all of our camp guests. Winter camp is warm and comfortable, all rooms are heated, perfect for beating the winter chills! Our Quality Tourism accreditation and many Australian Tourism Industry awards assure you we meet and exceed tourism best practice.